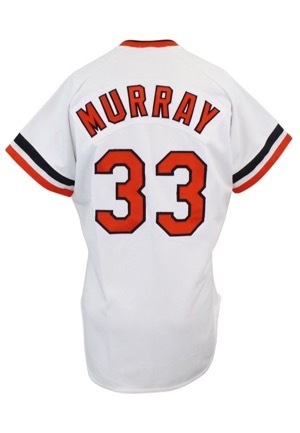 A first ballot National Baseball Hall of Fame inductee in 2003, Eddie Murray had a fast start to his career winning the 1977 American League Rookie of the Year award. 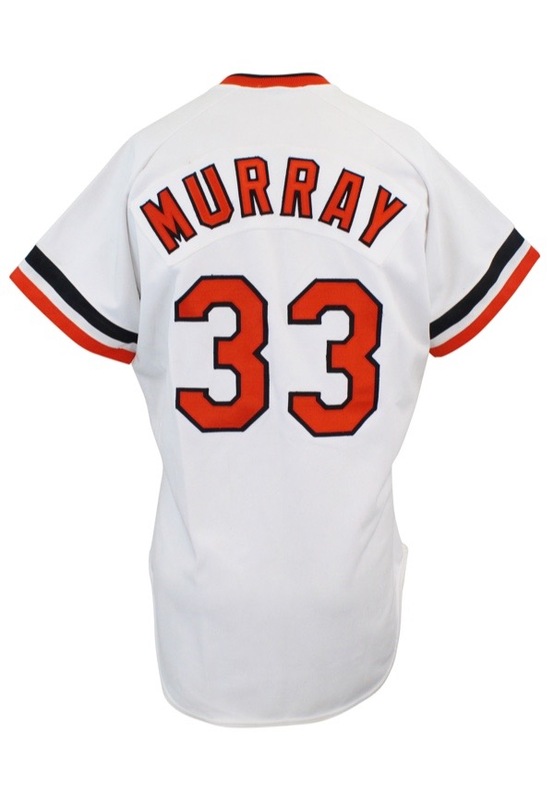 Five hundred home runs later, Murray is a World Series champion, an eight-time All-Star and has his No. 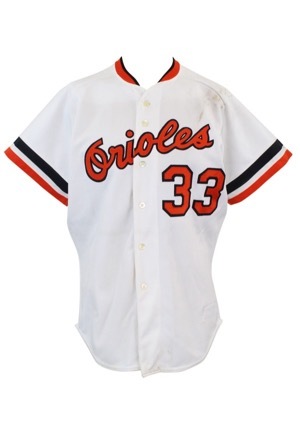 33 retired by the Baltimore Orioles. 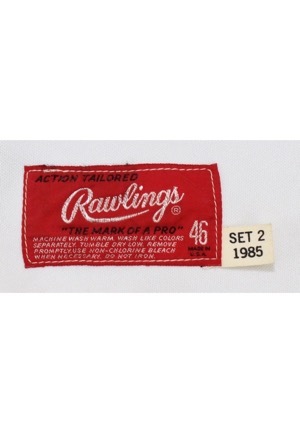 On the inside front left tail is the Rawlings manufacturer’s tag size “46” with washing instructions. Attached is a flag tag reading “SET 2 1985”. Across the chest reads “Orioles” in script style writing. Adjacent below and on the back is the player number “33”. Across the back on a white nameplate is the player name “MURRAY”. All numbering and lettering is done in the same orange on black tackle twill. This jersey is properly tagged, was presented to us as game-used and in our opinion shows light use.